What is Septicemia and How are Fish Infected? Septicemia is an infection located in the bloodstream. It can occur when an open wound gets infected or as a result of consuming bacteria through food. It can present itself in many ways, some of which are more obvious then others. Commonly, septicemia will occur as a result of an injury or open wound. Just as it’s important that we keep our cuts clean when we injure ourselves, it is equally important to keep a fish’s water clean when they are injured. If your fish becomes wounded (hurts itself, or fights with another fish) make sure you increase your water changes and keep toxins at bay by testing ammonia, nitrite and nitrate levels. Fish may also acquire symptoms by eating foods infected with bacteria. To reduce the chances of sepsis caused by food bourn pathogens use caution when feeding live and frozen foods. Only buy live foods like blackworms and tubifex worms from a reputable source and take care of them by washing them well daily. Consider growing your own cultures as an alternative to buying live foods. If you keep frozen foods, never refreeze them after they thaw and throw away any thawed food after one day. Septicemia will often present itself as redness under the scales any where on the body. It can be concentrated in one area or appear throughout. It may appear more visible around the face. The discoloration is often impossible to detect in dark or red colored fish. Open wounds should be pinkish and usually heal quickly. A wound that is grey, black or fuzzy or has discoloration around the wound site might be infected and antibiotic treatment should be started. Septicemia sometimes shows up as a secondary infection to Popeye, an infection that leads to the bulging of one or both eyes. On occasion, it may lead to Dropsy. Other symptoms may also present themselves in the form of sluggishness, loss of appetite, clamped fins or color loss. Observe your fish daily so you can learn to recognize his normal behavior and be able to tell if he is acting out of sorts. Kanamycin Sulfate is also very effective, especially for fish that won’t eat. Antibiotic resistance is a problem facing aquarists all over the world. This occurs when bacteria evolve to make newer, stronger strains that cannot be combated by available antibiotics. Flavobacterium columnare is an example of such a transitioning bacteria. There are several strains of Flex from the mild to severe and recent accounts of a particularly virulent strain have made its way into aquariums. These newer strains have been known to kill fish in under a day and may be untreatable. To avoid creating tougher strains of bacteria be sure to carefully follow the directions on the medicine package and to never stop or change medications part way through treatment unless your betta is having a dangerous reaction to them. 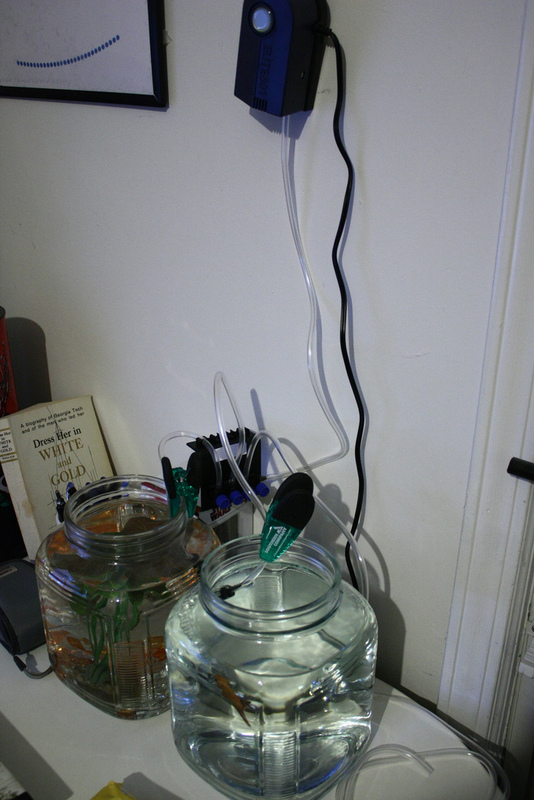 As with any disease, remove your sick fish from the community tank and isolate him for treatment in a hospital tank. Never medicate healthy fish. Thanks for not posting images of fish you jerk !!!!!!!!!!! Thanks so much for this. Quick question, the Mardel One and Two that I bought is in the form of powder. When you say a combination of both – Should I wait a couple of days before adding Two? Thanks.